I like the people that come and help us (in PIKPA) because they think about us. 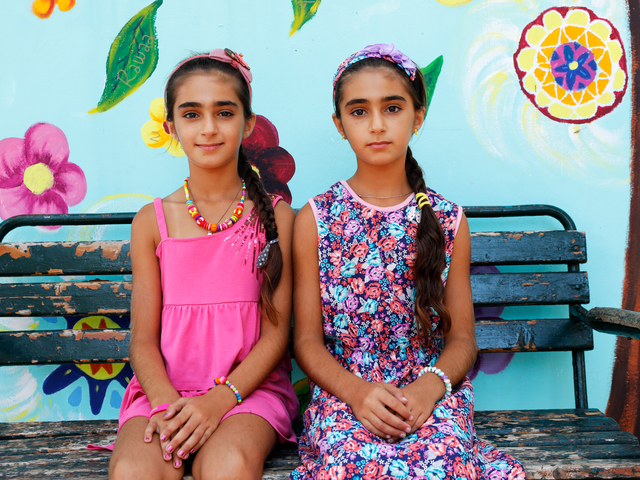 Ranea and Danea are 11 year old twin girls from Iraq. The two sisters, parents and older brother have been stranded on Lesvos for 16 months as a result of the EU-Turkey deal. The family stayed in Moria for 14 months and have been offered shelter in the PIKPA camp which offers shelter to vulnerable refugees during the past two months. Both girls are worried about the impact of the family being stranded on the island has upon their parents and brother and miss their school, room and friends back in their country. Danea’s question to the EU leaders is: ‘I do not understand why they open and close (the borders)’….